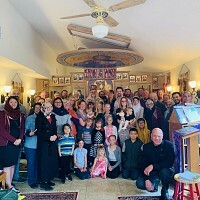 Saint Andrew’s Ukrainian Orthodox Society was founded in 1990 by the faithful of the Ukrainian Orthodox Church of the USA as a religious and charitable organization. As an integral ministry of the Church, the Society’s philanthropic mission focuses on providing humanitarian assistance to the needy and supporting church-related projects in Ukraine. Since its founding, the Society has raised over 1.3 million dollars towards the support of religious, educational and humanitarian projects. the rebirth of the persecuted and devastated Church in the former Soviet Union. publications of religious literature, assistance towards medical projects and church restorations. Українське Православне Товариство Святого Андрія було засноване в 1990 році вірними Української Православної Церкви США як благодійна та релігійна організація. Як невід’ємне служіння Церкви, благодійна місія Товариства зосереджена на гуманітарній допомозі потребуючим та підтримці проектів пов’язаних з життям церкви на Україні. Від початки свого заснування, Товариство зібрало понад 1,3 мільйони доларів на потреби релігійних, освітніх та гуманітарних проектів. відродження Церкви, яка була переслідувана та знищена Рaдянським Союзом. допомагаючи видавати релігійну літературу, підтримуючи медичні проекти та відновлюючи храми. 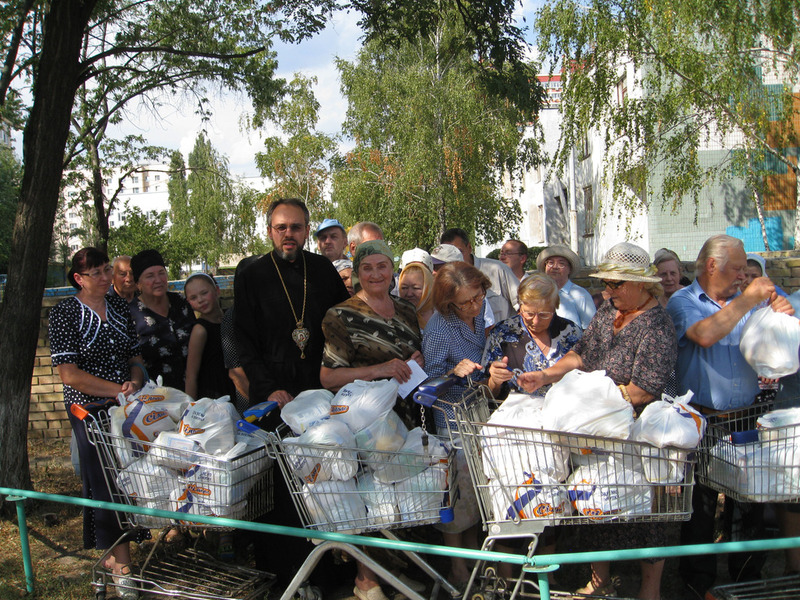 Saint Andrew’s Society, with the assistance of faithful in Ukraine, provides aid to the needy and disenfranchised in Ukraine. This program, established early within the multifaceted ministries of the Society, provides hot meals, food staples and other living essentials to pensioners who have no family or social support and are of limited financial resources. 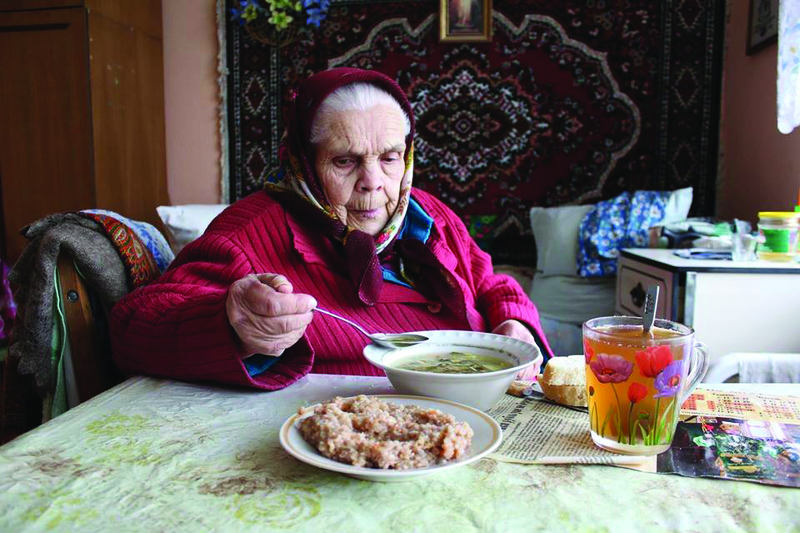 Most recently, the Society began providing aid to refugees in Ukraine. Aid is provided in: Kyiv (3), Pereyaslav, Chernihiv, Ternopil, Chernivtsi, and Mariupol. Товариство Св. Андрія, за підтримки вірних в Україні, провадить гуманітарну допомогу для тих, хто в потребі і знедолені в Україні. Ця благодійна служба була завжди великою частиною багато-гранної місії Товариства, і забезпечує харчування та інші предмети необхідності для пенсіонерів, які не мають сім'ї або соціальної підтримки та мають обмежені фінансові ресурси. Недавно Товариство розпочало допомогу біженцям. Допомога надається в Київі (3), Переяславі, Чернігові, Tернополі, Чернівцях і Маріюполі. 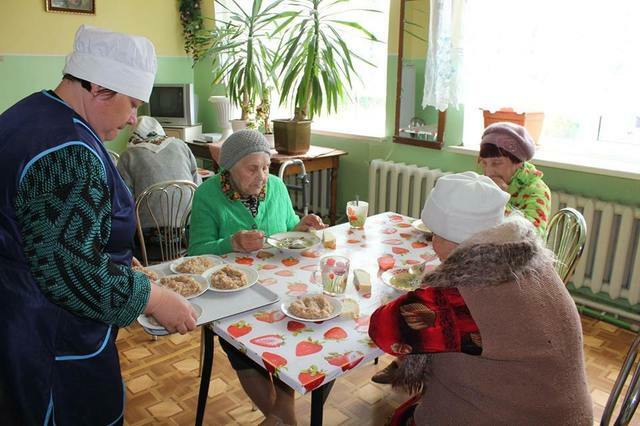 Hot and nutritious meals are provided at cafeterias, churches or social service centers for the needy elderly. Over 4,000 meals are prepared and provided per month. These soup kitchens are staffed by volunteers in local communities or by church affiliated institutions and organizations. Гарачі та якісні обіди роздаються по їдальнях, церквах, або в центрах суспільної опіки для бідних старших. Понад 4,000 таких обідів готуються що місяця. Ці їдальні облуговують волонтери з місцевих громад або при церковних організацій. With the financial assistance from St. Andrew’s Society, non-perishable food items containing dry and canned food products are purchased and packaged for delivery to the home-bound elderly or picked up at distribution centers. This cost effective service is provided in several cities in Ukraine. 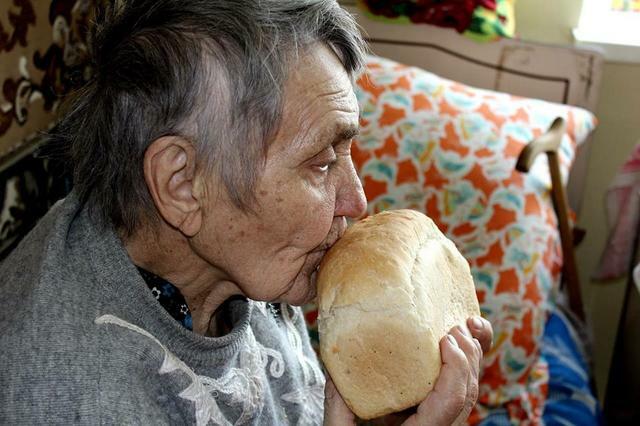 Тhis ministry provides sustenance to the elderly, and brings joy and comfort to those who never leave their homes. За фінансової підтримки з боку Товариства Святого Андрія, пакунки, що містять сухі та консервовані продукти харчування закуповуються та доставляються тим потребуючим старшим додому або роздаються по центрах. Ця економічно-ефективна послуга надається в декількох містах України. Ця допомога забезпечує не тільки засоби для харчування, але приносить радість та втіху для тих, хто ніколи не залишає свої домівки. Saint Andrew’s Society provides financial support to seminaries and theology students in Ukraine. 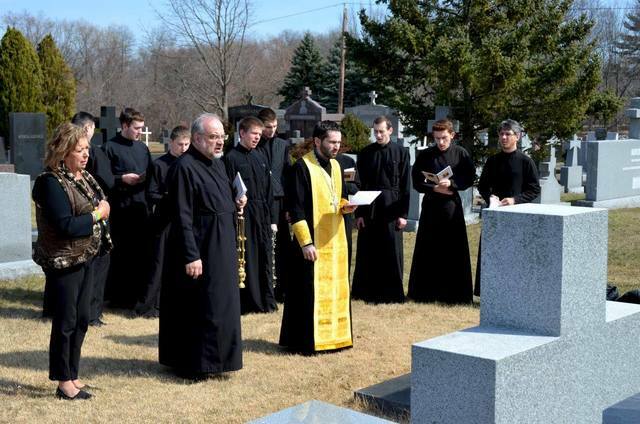 Financial support to qualifying students is made possible with the help of the Lewytzkyj Seminarian Scholarship Foundation, which was established in 1990 in memory of Very Rev. Dr. Wolodymyr and Halyna Lewytzkyj. Merit and needs-based scholarships are available to students in Ukraine and to those who wish to study abroad. For more information, visit the Lewytzkyj Scholarship Page. The Society participates in the ongoing efforts of restoring and rebuilding churches after the collapse of the Soviet Union. Most notably was the rebuilding of St. Michael’s Cathedral in Kyiv in the 1990’s, in which the Society financed the reconstruction and research towards the return of stolen mosaics. The Society publishes and distributes Bibles and various other liturgical and educational publications to the faithful. 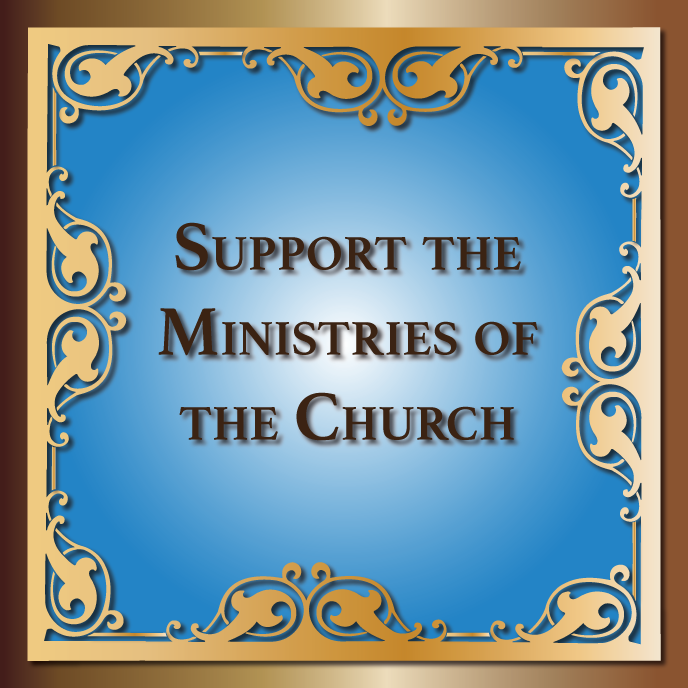 The Society also supports individual parish ministries in Ukraine. Товариство бере участь у відновленні та відбудові церков після розвалу Радянського Союзу. Найвизначнішим з таких проектів була відбудова Михайлівського Золотоверхого Собору у Києві та повернення вкрадених мозаїк. Товариство друкує та розповсюджує Біблії та іншу духовну та освітню літературу серед вірних. Також, Товариство підтримує проекти різних парафій на Україні. To learn more about St. Andrew's Society, download the informational brochure (membership application included in the brochure) here. To learn more about the Humanitarian outreach efforts of St. Andrew's Society, download the informational brochure here. 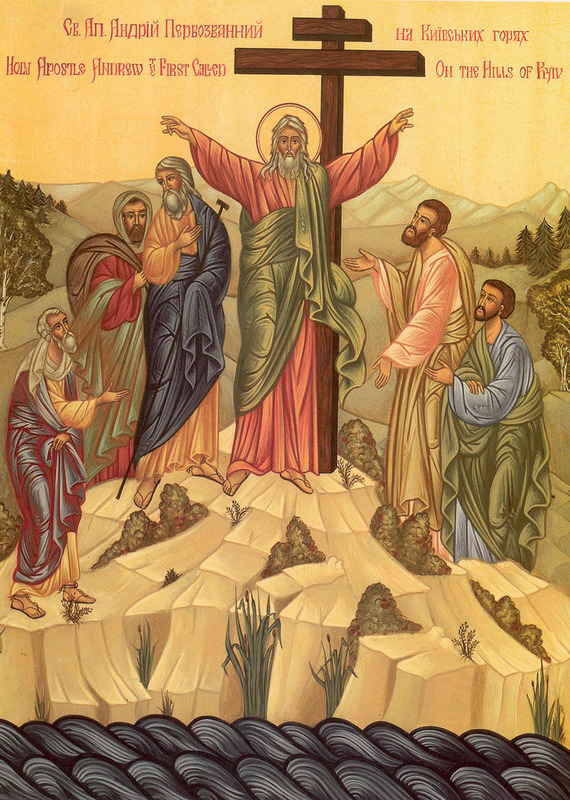 Support St. Andrew’s Society and make a tax-deductible donation today!